WHY ARE THE JEWISH PEOPLE GOD’S CHOSEN PEOPLE? In 1964 when the Shah was King of Iran, I was working for an International Investment conglomerate in Teheran, Iran. My responsibility included Iran, Pakistan, Afghanistan, India, Ceylon, today’s Sri Lanka, Nepal and East Pakistan. Money was flowing generously. Terrorisim was an unknown entity. Tanks were in the streets at times because of assassination attempts on the Shah. Americans were loved. Jewish people were treated with respect. Life was good. In that same year, a question came to mind. Why are the Jewish People God’s Chosen People? Although I am Jewish and come from an Orthodox family, this was never a question of serious study. Yes, some would express their views. “Let Him choose someone else. Who needs the grief.” In that year, the wife of a famous Reform Rabbi came to Teheran to visit us. Surely she would have the answer to why the Jewish People are God’s Chosen People. So I asked her, “Pearle, why are we God’s Chosen People? ” She answered, ” We are chosen to survive.” Yes, that’s true I thought, but I felt there was more to it than that. Well, many years later, seventeen to be exact, circumstances changed. The Shah was overthrown, exiled by the Ayatollahs. America was the enemy. Jews were fleeing Iran, and the International Investment giant had collapsed. Money wasn’t flowing so generously. In fact, it wasn’t flowing at all. Consequently, I moved to Florida hoping to make life good again. And again that question entered my mind. 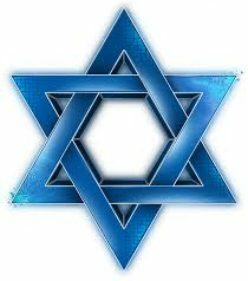 Why are the Jewish People chosen by God? So I decided to purchase an Old Testament Bible at a Synagogue. Perhaps the answer would be there. And I immediately started my search. Little did I know that I would fall in love with the Word of God. Frankly, I was overwhelmed with awe reading His Word. What quickly caught my eye while reading the Scriptures was that God appeared to Abraham, Isaac, Jacob and Moses and others in the form of a man. How can this be, I thought? God is Spirit only. Then later in my learning, I read Isaiah 53, which describes a Man Who is despised and rejected, Who was killed for the sins of His Jewish People, yet there was no sin in Him. His death was an offering for sin, an atonement. Yet the Lord prolonged His days after His death. God resurrected Him back to life. This is a description of Jesus in the Old Testament, I thought. And after constant urging by a friend to read the New Testament, I read in Matthew chapter one that Jesus was the Son of God. I believed that without any doubt. Then I learned that Jesus is the Messiah (see Daniel 9.25-26) and also the One God of creation, the God of Israel, (Isaiah 9.5 (6) *). Then I realized the One Who appeared to Abraham, Isaac, Jacob and Moses, was Jesus Whose Hebrew name is Yeshua. And I also learned that His love for His Jewish People is beyond knowledge, it is so wonderful. My search had in fact brought me to my Messiah, the One Who forgives us all our sins, Jeremiah 31.31-34 and gives us eternal life with Him in Heaven forever, Daniel 12.1-2. Reading further, the Lord God tells His Chosen People that we have a task. To be His witnesses. Hear His Words in Isaiah 43,10; “You are my witnesses saith the Lord and my servant whom I have chosen; that you may know and believe Me and understand that I am He; Before Me there was no God formed, neither shall any be after Me.” So besides loving us, we are given the responsibility of being His witnesses. The word witnesses comes from the Hebrew word, Ayd, meaning, one who testifies or declares what he or she has seen, heard or knows. Thus the Jewish People are to be God’s witnesses to all mankind, and the message is about God. All we have seen, heard or know about God from the Bible. And yes, we have done that well. The Bible, from Genesis through Revelation is written entirely by Jewish People although some might say that Luke was not Jewish. Well, he’s a doctor, Colossians 4.14, so we claim him also. As a witness for the Lord God, what do we testify to the world? We declare that there is only one God and He is the God of Abraham, Isaac and Jacob. We are appointed to make known to the world, His Word, His Law which is the Law of Moses which He gave to Moses to give to Israel and to all mankind, His Statutes, His Doctrine and of course His Messiah Who is from the Jewish People declared in the Law and in the Prophets and in the Writings. And that He is Yeshua Ha Mashiakh, Jesus the Messiah, Who is the God of Abraham, and Who was also 100% man, Isaiah 9.5 (6)*, Isaiah 40.10, Micah 5.1 (2)*, etc. That is why the Lord God chose the Jewish People. Because He loves us and to be His witnesses to the world. Making known that the Lord is God. There is none else beside Him. To declare His Messiah Yeshua, and reveal His Word and His Law He gave to Moses for all mankind to obey. Although some claim they have replaced the Jewish People as God’s Chosen People, that is not possible. No religion or people can replace the Jewish People as God’s Chosen People because Scripture clearly states, “For the gifts and calling of God are irrevocable,” Romans 11.29. And the Glory of Israel will not lie or change His Mind; for He is not a man that He should change His Mind,” 1 Samuel 15.29, etc. Yes, we Jewish People have our problems in obedience to Our God, and many have rejected His Messiah Yeshua, but God never changes. He is the same yesterday, and today, and forever, Hebrews 13.8. By the way, many claim that the Law of Moses is dead. That is nowhere to be found in the Bible, The Old Testament (Tnakh) or the New Testament, but only in man’s writings. See Daniel 7.25, Isaiah 24.5-6, Hebrews 13.8, etc. Shaul (Paul) teaches the subject of God’s Chosen People well in Ephesians 2.11-22. Non Jewish Believers before turning to Messiah Yeshua, were without Messiah, aliens from the commonwealth of Israel, strangers from the covenants of promise, having no hope, and without God in the world. But now, Shaul explains, non Jewish Believers who have received Messiah Yeshua and submit to God’s Law of Moses, (Ephesians 2.20) are no more strangers and foreigners, but fellow citizens with the saints (the Jewish People) and of the household of God. Non Jewish Believers have now joined in with God’s Chosen People and have become fully God’s Chosen People with the Jewish People. And those ordinances which were against the Gentiles found in Ephesians 2.12; being without Messiah, being aliens from the commonwealth of Israel, and strangers from the covenants of promise, having no hope, and without God in the world, are now (that is the ordinances, are) nailed to His cross, Colossians 2.14, because you are now joined with God’s Chosen People through Messiah. *The Christian version Bible verses are given in parenthesis. Posted on January 20, 2010 March 23, 2015 Categories Uncategorized2 Comments on WHY ARE THE JEWISH PEOPLE GOD’S CHOSEN PEOPLE?